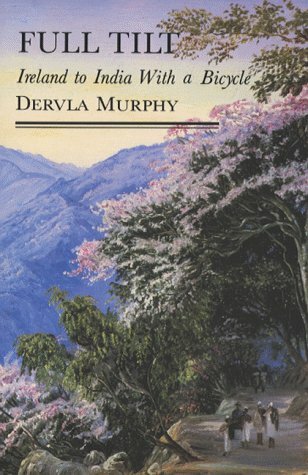 Based on her daily diary, this is Dervla Murphy’s account of her ride, in 1963, across frozen Europe and through Persia and Afghanistan, over the Himalayas to Pakistan and into India, during one of the worst winters in memory. She has written other travel books, including In Ethiopia with a Mule. Shortly after her tenth birthday, inspired by an atlas she was given, Dervla Murphy decided to cycle to India. Almost twenty years later she set out to achieve her ambition, pedalling her trusty bicycle, Roz.